Suzanne Atkinson, M.D. is a Certified TI Coach in Pittsburgh. She provides everything an athlete might need to achieve a meaningful goal – skill development in lessons or group classes, practice plans and feeback, and race/event prep. 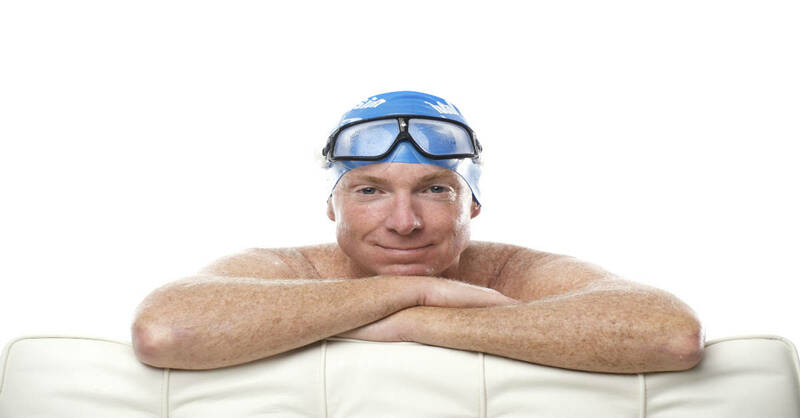 A recent email exchange between Suzanne and one of her athletes illustrates that learning to train thoughtfully is more about the quality of the swimmer’s thinking process than the content of the sets. Suzanne (to me): Mary swims with Masters and has recently expressed that she finds it hard to make a connection between the ‘distance’ sets assigned at workouts and the challenges she experiences when actually swimming in open water. I’ve encouraged Mary to ‘tweak’ the Masters sets by counting strokes and/or using a Tempo Trainer, but we’ve found there’s a learning curve in being able to: hear the coach describe a set; devise SPL or Tempo challenges for herself within the set parameters, and keep track of or interpret the new numbers—strokes, tempos and resultant times. But today, she altered a Masters set on the fly — and subsequently set a new 100 PR! I’m so proud of her. Mary (to Suzanne): The coach gave us 8 x 25 + 8 x 50 + 8 x 75 + 8 x 100. The 25s and 50s mixed various drills with some stroke counting. On the 75s, we were supposed to take fewer breaths on each lap, but it didn’t seem that would help me swim better in open water, so I took your advice and tried to maintain same stroke count throughout. On the 100s we were to swim easy on the odds and fast on the evens. On the 75s, my stroke counts were 16 to 17 per 25. I noticed that I had to concentrate most on the last lap of the 75 to hold that count. On the fast 100’s my times were 1:22, 1:19, 1:15, 1:14. On the first two, I didn’t leave enough space between me and the swimmer in front of me and had to slow down to avoid hitting her feet. But when I left more space I set two new PRs in a row. I’d never broken 1:16 before. I’m super-excited. Suzanne (to Mary): I love how you approached the set and your focus on not only counting, but maintaining, strokes on the 75s. I am fairly certain that your PR in the 100 was a direct result of your willful execution of a stroke task…maintaining long strokes on the final lap of your 75s. Your observation that the last 25 was the hardest to maintain your stroke count shows that as fatigue builds, stroke mechanics change, and it requires conscious intention to hold form. This is a much harder task to execute than the instinctive choice to just go harder. Going harder is easy. Staying efficient—and focused—takes discipline. And the next time you race, you’ll benefit from having trained your neuromuscular system to hold form despite fatigue. When you do, speed follows naturally. Terry (to Mary): I share Suzanne’s excitement. Not just at your breakthrough in time, but even more at the reason it occurred, a breakthrough in strategic thinking. These days I seldom attend Masters workouts. Like you, once you I understood what forms of practice measurably improve my swimming, I was no longer satisfied with generic ‘hard work.’ As you intuited, the primary rationale behind breathing less is simply that it’s ‘hard.’ In such an instance it’s smart to substitute a challenge that relates to racing well. Holding Stroke Length does exactly that. You begin to develop a habit to prioritize brainpower over muscle power. Another possible insight–maybe you’ve had it already–is the quality of effort most likely to help keep your SPL constant. Suzanne uses the term ‘willful intention.’ I like that phrase a lot. I also like the word ‘artful.’ When you’ve had more practice doing sets where you try to descend while keeping SPL constant–or maintain SPL while increasing tempo (which produces the same result—faster times) you’ll discover that an artful effort brings better results than a physical one. In any case, congratulations on 1:14. I consider that pretty fast. Thanks for sharing this exchange…helpful in realizing the ‘willful intention’ we can produce for ourselves.